Close to motorway,cheap fuel at nearby filling station, open air secure parking suitable for my high top van. Plenty of buses at stop close by to access city centre. All was good . Parking, rooms, breakfast and friendly staff. Got a quiet room, as requested. Bed was very comfortable. Room was clean and functional. Supermarket just over the crossroad. The place is good ,quite and cossy. Very convenient close to the public transport system. The rooms are very clean and well serviced. Good location for an overnight stay when driving from Czech Republic to Amsterdam, as very easy to find and close to the autobahn. Staff very helpful and agreed to a change of room for a quieter location in hotel. Great hotel, good, easy to find location. With private car park. It has a nice restaurant and bar and the staff, who speak good English are very friendly. It has a nice outdoor area for dining or recalling with a book. It is walking distance to a supermarket. 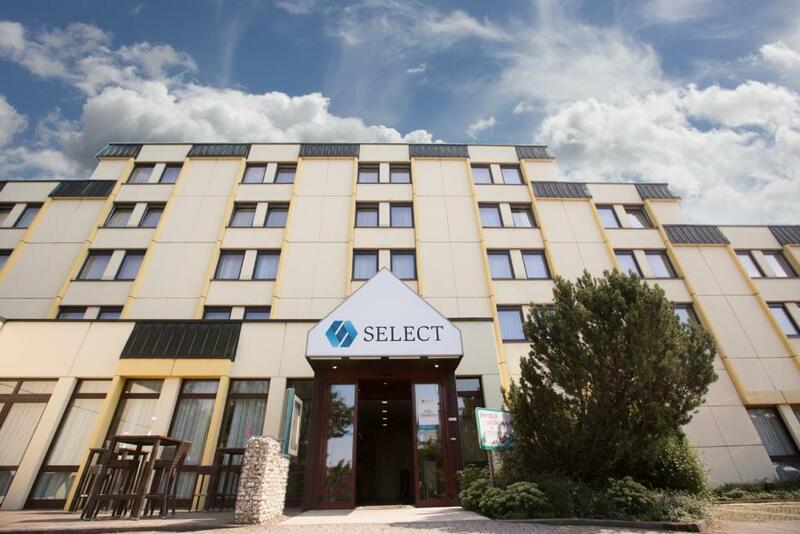 Select Hotel Osnabrück This rating is a reflection of how the property compares to the industry standard when it comes to price, facilities and services available. It's based on a self-evaluation by the property. Use this rating to help choose your stay! This hotel has a 24-hour bar and reception, and free WiFi is available in all areas. Offering a secure private car park, it is a 5-minute drive from Osnabrück's city center. The Select Hotel Osnabrück offers bright rooms with a TV and private bathrooms. Free calls can be made to German landline numbers, and there is complimentary water, tea and coffee in the lobby area all day. A rich buffet breakfast is provided daily. Evening meals are offered in the Le Table restaurant with terrace. The hotel bar provides snacks and drinks. Select Hotel Osnabrück is just 10 minutes from the Teutoburg Forest and 20 minutes from Münster-Osnabrück Airport. When would you like to stay at Select Hotel Osnabrück? House Rules Select Hotel Osnabrück takes special requests – add in the next step! Select Hotel Osnabrück accepts these cards and reserves the right to temporarily hold an amount prior to arrival. Parking per night is 5 EUR. It is a nice and clean hotel together with good price /performance ratio. Breakfast is also satisfactory. Well, it's pretty far from the city, walking takes more than an hour and this can't be changed. Bus station nearby though. And we felt a bit too cold. I just struggled with communicating with English. I was also disappointed when l tried to negotiate not to pay for the last day as l discovered that l had over booked. My flight was leaving early hours of the day and because of the unavailability of public transport at those hours l had to leave the night before to connect to Hannover airport. Unfortunately the team at the hotel refused to listen and l lost a day’s stay paid for and never utilized. I personally felt the manager of the hotel could have simply made a decision to help after having paid for 7 nights. Location was close to highway. Rooms really need aircon ! Too expensive for what it is. Rough reception. Very small rooms. Curtains don’t keep the light out. Noisy. Nice and modern bathroom , good food. Frankly horrible food at dinner - vegetables punished to death, salmon overcooked, seafood pasta with totally tasteless seafood and no flavour in sauce. By all means stay there, but eat out!! Breakfast ok. Since becoming a Novum Hotel the standard has dropped. I find it slightly annoying in a hotel of this type that breakfast is an extra - it wasn't when it was an Ibis. Also, if you pay for breakfast it should be a whole lot better.